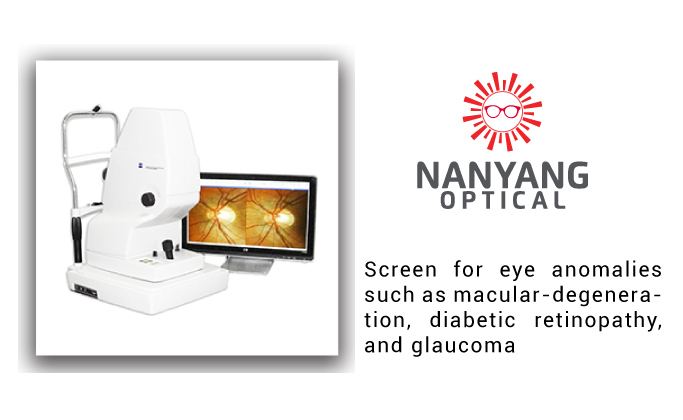 Enjoy 20% fundus retina imaging - screen for eye anomalies such as macular-degeneration, diabetic retinopathy and glaucoma. Discount only applicable for selected stores only: Alexis Ngee Ann City, Nanyang Optical Causeway Point and Nanyang Optical Parkway Parade. Please book an appointment with the selected outlet prior to redemption. Celebrating Life digital membership card must be presented prior to purchase. Nanyang Optical reserves the rights to amend the terms & conditions without prior notice.